Tow Truck Markham is a leading truck, trailer and tractor towing service in Markham, ON. 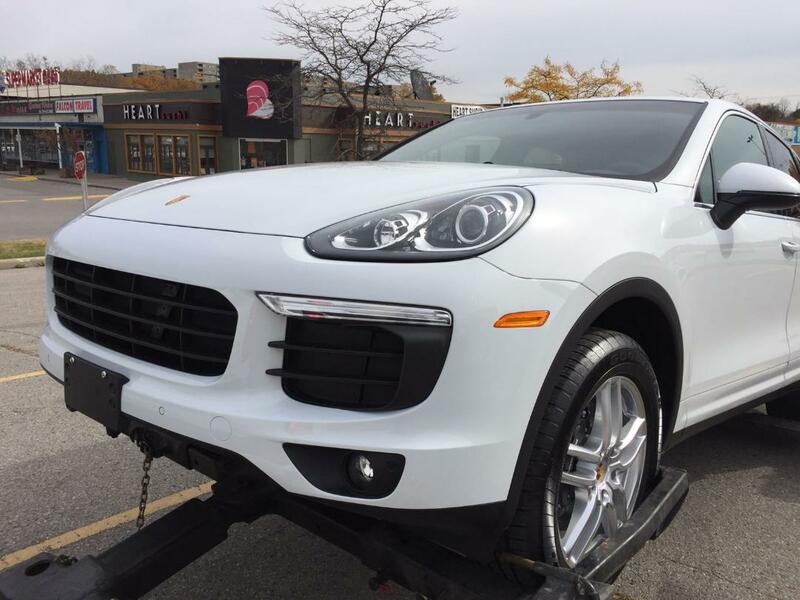 We offer 24/7 towing and roadside service in Markham, cities in the vicinity of York and Greater Toronto. We take pride in providing immediate assistance to stranded motorist’s day or night in every kind of weather. Our Markham Tow Truck team cares about customers like family and make sure to always be there when you call us. As your local Markham towing company, we ensure to provide speedy, secure and affordable roadside assistance and towing service every day, all day. ​Our Markham Tow Trucks are fully equipped for all types of towing situations from light to heavy towing, vehicle transport and even complicated pull out scenarios. We have licensed and certified technicians that are highly trained and experienced to deal with any roadside or towing scenario. ​Our technicians are experts in analyzing the needs of your vehicle with the ability to solve vehicle breakdowns such as a flat tire, a dead battery, lockout and more. In many cases, solving the problem right there with our roadside technicians is often more affordable and cost-effective than towing your vehicle to an auto shop. Why Choose Tow Truck Markham? We aim to change the game in the tow truck industry by providing professional towing services that you can trust. All of our tow truck operators, drivers and technicians are held to the highest level of industry standards. We are committed to delivering fast, efficient and high quality service while ensuring the safety of our customers and their vehicles. ​Our tow truck team members are given regular training and knowledge assessments to keep them up to date to the latest in automotive technologies. Most importantly we make sure our ranks are in strict compliance with all government required security clearances. Your safety and convenience is our top priority. If you are looking for a towing company Markham that offers professional round the clock towing and roadside services at an affordable cost, you can come to us. Whatever roadside situation you are in, we can get you safely and quickly back on the road. ​We constantly train and update our equipment with the most innovative in the market to give motorists and vehicle owners the highest quality of service possible. We have an extensive list of towing and roadside assistance combined with fast, reliable and friendly service. Being a local towing service in Markham, we understand the landscape and the unique needs of residents and business in the area. That is why we have a diverse fleet with the ability to provide innovative towing solutions to your needs. No job is too big or too small for Tow Truck Markham. ​We provide a complete range of services from light vehicle to heavy duty truck and tractor trailer towing. We also offer a variety of roadside services such as flat tire service, fuel delivery, lockouts, winching services and more. Our primary area is Markham but we also service surrounding cities in the York Region and Greater Toronto. Areas we Service - We pride ourselves in providing speedy, immediate response to roadside situations and have our tow trucks stationed near Aurora, Richmond Hill, North York, Scarborough, Thornhill, Vaughan and Toronto. We treat customers like family. Our goal is to provide immediate 24/7 roadside assistance and towing service to stranded motorists across the city while making customers feel safe and letting them know that we care. Having a car emergency like getting locked out or running out of fuel can be very frustrating. Our Markham Tow Trucks operators and technicians understand this and will to their best to provide a quick solution to your problem while maintaining a professional yet friendly demeanor. Customers come first for us that is why we make sure you are happy with level of service 100% of the time. Licensed and Certified. As part of our commitment to delivering the best Markham Towing service, we make sure we have the best equipment and people working for us. When you call us you can be confident that you will be dealing with professionals and that everything is done according to industry standards. We have licensed units, licensed and certified drivers and technicians. Our employees go through a strict selection process and we can assure you that they have the right security clearance required by law. Value Service. Being a local Markham towing company we strive to give the best service at best value. We offer affordable rates without sacrificing our quality of work. When you call us you get an honest estimate, reasonable rates and no hidden charges. With over ten years in the towing industry our tow truck operators deliver effective solutions to ensure satisfaction and get safely back on the road. Our goal is to exceed expectations at every opportunity. Innovative Technology. In our effort to always provide high quality work, we make sure to keep up with the latest in towing and recovery systems. Our dispatch system is guided by state of the art GPS so we can pin point your location and get help to you immediately. We believe that this is key in making sure we dispatch the right truck that is closest to your location so there is no need for you to wait long. Our Markham tow trucks are fitted with high-end towing equipment to ensure that we can do our jobs efficiently and safely. Easy Transaction. As a full-service truck and tractor trailer towing company, we make sure to provide a hassle-free transaction and speedy service. We understand how frustrating it can be when your vehicle breaks down or gets stuck on the road. With that in mind, we utilize an efficient dispatch system that enables us to reach your location and provide immediate 24-hour towing and roadside services. We also provide insurance assistance and make sure our invoice allows you to get reimbursed by your insurance provider. Truck And Tractor Towing in the City of Markham - Tow Truck Markham is licensed, certified and insured so you can be confident that you will get the best service every time you call us for assistance! We provide towing and roadside services in Markham, Aurora, Richmond Hill, Scarborough, North York, Toronto, Thornhill and Vaughan quality towing and roadside services for over ten years.